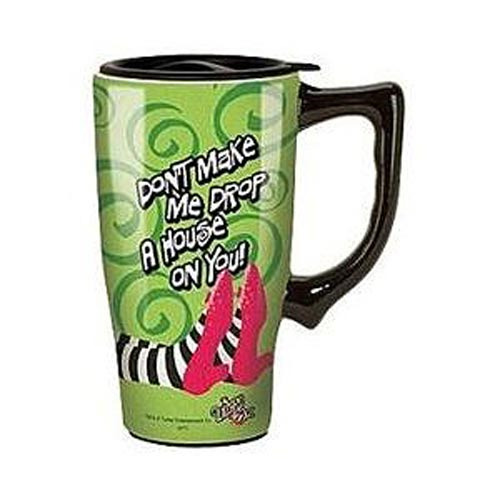 The Wizard of Oz Wicked Witch of the East Travel Mug with Handle is a must have for fans ofThe Wizard of Oz. Don't forget to bring the Wizard of Oz Wicked Witch of the East Travel Mug with Handle when you're off to see the wizard. Hand wash only. Not dishwasher safe. Do not microwave.